– Mehek Bassi, Chained: Can you escape fate? 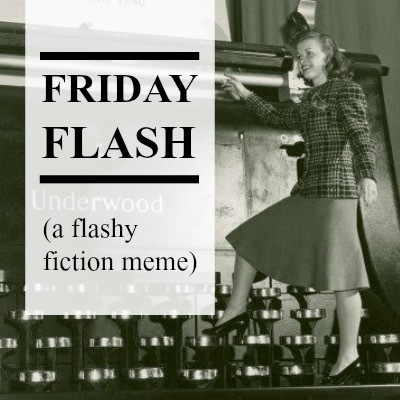 A piece of flash fiction (although technically inspired by true events), written in the last 30 minutes of Smutathon, for F. Leonora’s Flash Friday fiction writing meme and prompted by the photo below!! My first trip to New York and it rained the whole time. Together, we dashed from Happy Hour to Happy Hour, ducking out of the rain and escaping into the warmth of bars that offered cheap drinks and free WiFi. Each time we peeled off layers of clothes, discarding hats and scarves, and let the damp steam off them as we huddled by heaters and radiators. Caught in the rain but somehow insulated by the weather from the reality around us, the whole night felt like a fairytale. New York City sparkled as the neon lights were picked up by puddles and splashes, and the tops of the skyscrapers got lost in the clouds. City noises were muffled by the sounds of falling rain and a fog blurred the edges of the angular landscape. But his hand was in mine, pulling me forward and holding me close. His arms were round me and his hot kisses smothered my rain soiled face. We hid in corners during the windiest moments, lost in each other’s arms, before dashing on to the next bright doorway that offered temporary shelter. And once inside, we dined like thrifty kings! My everlasting memory of those wet, damp days will be the dollar oysters. On that particularly miserable night, we rushed around the East Village, choosing bars that offered cheap drinks and cheap oysters, which seemed unbelievably magical. It felt like the height of decadence to come in from the storm and order a round of these fat, juicy molluscs, served on plates of ice and toasted with glasses of house wine. Of course, the supposed aphrodisiac qualities of these luxuries were not lost on us as we hurried from bar to bar, hand in hand. Would we have had such fun without the frisson of oyster magic? Almost certainly. But did that magic add something extra, something almost undefinable to our night? Undoubtably! This is post #5 of a planned 6, all written during the 12 hour Smutathon writing challenge.